The artificial plants used in old times were very garish, flashy and having stiff flowers & stems in garden. At present, so many artificial plants are naturalistic for garden decoration. No one can imagine that they are artificial in terms of shape, grains and coloration. They are specially made for gardens. The places where real plants cannot be grown use the artificial plants because you don’t need to water them and they don’t die. 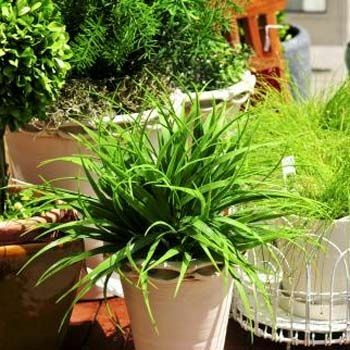 Here are some useful instructions on using artificial plants for decoration of gardens. The artificial plants can be inexpensive if right variety selected otherwise it can be expensive. The color of some plants made of plastic disappears and you have to change them most of the times. If you buy the artificial plants of better plastic, they are heat and rain protected and remains the same for so long in garden. Artificial plants are changed according to the seasons like in summer you should use some other kind of plants and spring you should use some other kind. The excerption of artificial plants decoration of different colors, anatomy, altitude and size make the look of garden natural. There are so many kinds of artificial plants to chose for your garden. You can use different kinds of artificial trees, flowers, bushes and falling baskets to décor your garden. This way you can make your garden more perfect and less in cost. It is very difficult these days to tell the difference that the plants are artificial or real. These are so natural and lifelike. Follow the time of year like every season to use the artificial plants to make the garden natural in look. The flower and plant stores help you in the selection of decent plants and guide how to plant them and where plant them. The garden decoration with artificial plants is not as much difficult as we consider. There are so many ways we can beautify and embellish our garden. Keeping in view the above mentioned instructions we can have the better results in the decoration of our gardens. Rajesh Khanna’s love is feeling intimidated!